Welcome to 2016 Friends! This terrific 4K-derived stars stock footage is your free clip this month! A Best Seller New and Improved and Now Free For You! Frankly, we are not sure how smart this is, but here goes: One of our best selling clips is an HD starfield POV flight through the stars. It was generated as HD only, and runs just 15 seconds. Because it is so popular, we went back, started from scratch, and produced it again, only this time at full cinema 4K (24 FPS) specifications and a generous 30 seconds in length. Of course, it is also available in stunning 2K as well. Because we love our subscribers and customers so very much, the 2K very high quality (PhotoJPEG @ 100% quality) version of this beautiful, and incredibly useful clip, is your free clip this month. Please note: You must download the clip with the code below (apply it during checkout) before the end of January 2016. If you’d prefer the 4K version of the stars stock footage, you can use the discount code to get it and save a whopping $99! Or, you can get our brand new motion backgrounds bundle (click here > Motion Backgrounds) and use the discount code to take another $99 off the original $300 savings! The bundle features six 2K or 1920×1080 HD clips, including the 2K version of the stars stock footage, all at very high quality PhotoJPEG file size. 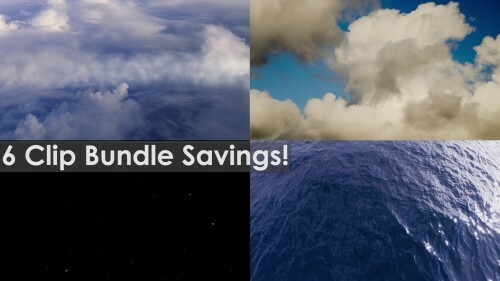 This bundle is a real bargain, with shots ranging from low flight over water (30 seconds long!) to boiling time lapse clouds, the star footage and more! It’s another Swiss Army Knife collection that every creator should own. Please note that our bundles may be withdrawn at any time so if you’d like to take advantage of the $300 savings plus the additional $99 you’ll save with the discount code, act today. Of course, the code expires in any event at the end of January 2016. Didya know we went and created an official Facebook page? Other than our posts, it seems there are just some tumbleweeds blowing around. We’d certainly be grateful if you gave it one of them “like” things and shared it with your cool friends: That Page. We’d really appreciate your sharing our website and YouTube accounts (public links to videos and pictures, etc.) on Twitter, Facebook, and stuff like that too, but you probably knew that. Oh, and don’t forget we have amazing stock photos.